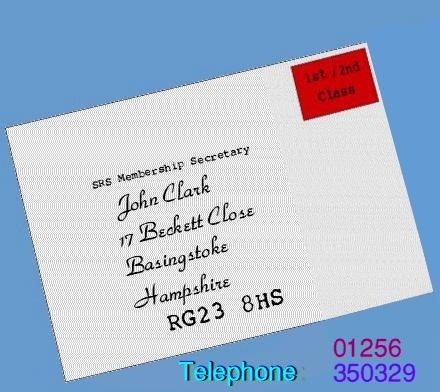 To contact Specific Oficers of the Society please use Email Addresses shown below. and your request will then be passed onto the appropriate person. 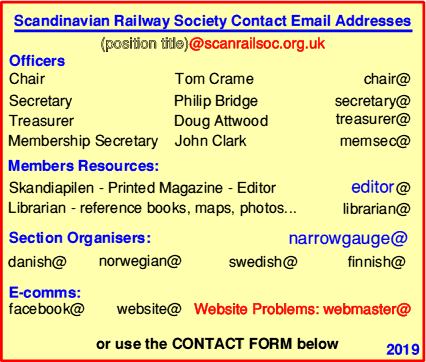 Membership is open to everyone interested in the railways and/or tramways of 'Scandinavia'. Please feel free to browse the website and also visit the facebook page, for events, regularly. The photographs publicly accessible on this website may be used for private research, and remain the copyright of their owners. We hope they may encourage your interest in the wide variety of Skandinavian Railways, and inspire you to travel to the area too! A PRINTED MAGAZINE called Skandiapilen is produced with (rolling) stock reports and articles and is sent to ALL members. The Society operates in compliance with the Data Protection Act. Members details - supplied by the member - are held by the Membership Secretary. As part of the processs, ALL MEMBERS are being asked to return a SIGNED COPY of the Membership (Renewal) Form sent with Skandiapilen. Please also note that the BANK DETAILS have changed (in 2018) - contact the Membership Secretary FIRST if paying by BACS this time. and more convenient contact within the memberhip, at no additional cost to the society: savings on postage keep annual subs low. The group is hosted by Google / one of its companies, and their terms and conditions apply. Scanrail Googlegroup Membership (after receiving the invite) is controlled by the member via their Google Account /or as advised by Google. 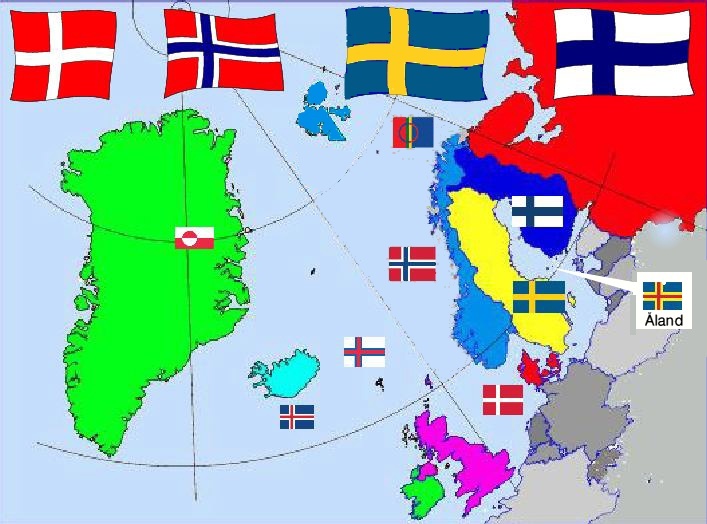 Many members have built and exhibit model railways based on their preferred parts of Scandinavia. Some of these are mentioned here on the Model Pages. We are sure you will find something of interest to you. Current annual membership fees are £ 15.00 (EU) and £ 20.00 (elsewhere). have a full set for your membership year.